Another delicious vegetable I like to eat is fresh chickpeas. Are? The grammar in that sentence is all wrong. Anyway, these are delicious. 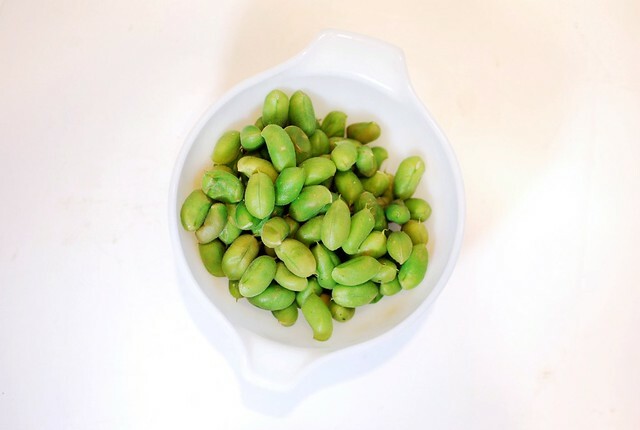 I cook them like edamame and they taste kind of similar, very fresh and green and a little salty if you salt them. Inside their little shells, they look like little brains. Gross, but so delicious. Heat a pot with an inch of water to boiling, and place the steamer basket in it. Dump in all the chickpeas, cover, and let cook for 2-3 minutes. Remove from the basket, toss with salt, and eat. To eat - open up the little pods and eat the guts. Yum! Haha, they do look like brains! Awesome! I've never seen fresh chickpeas before, they look really yummy. No, Jill, the grammer in that sentence is better than the spelling in this one. 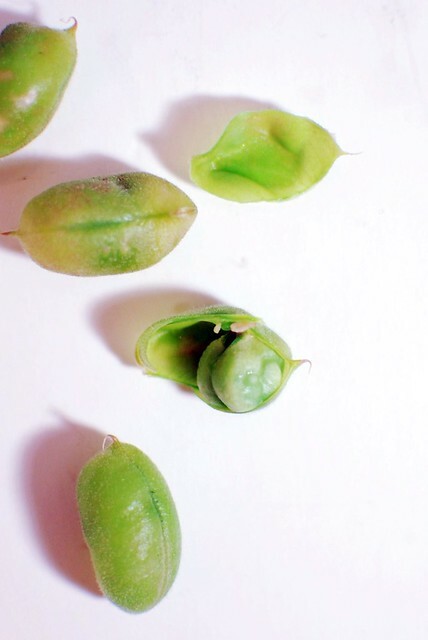 Now that we've cleared that up, how about a recipe for chana masala with fresh garbanzos?